Jean C. Meyer (Signorini), age 72 of Quincy, devoted wife of the late Donald R, left our world suddenly on November 17th. She was born and raised in Boston to Verna and James Signorini. 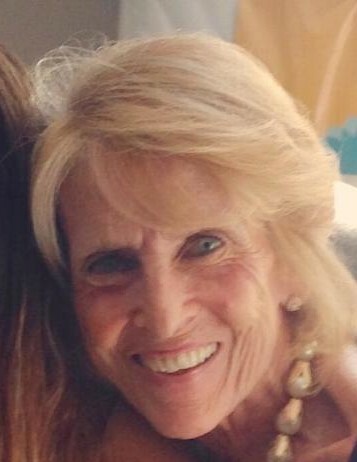 She leaves behind a daughter, Nicole Perona and her husband Brendan Ridge of Milton, and her sons, Richard Perona and his wife Trisha of Lexington, and Derrick Meyer of Somerville; and her grandchildren Violette and Leo Perona and Delaney Ridge; Sister of Linda Donahue of Milton and the late Phillip Signorini. Her greatest pleasures and joy came taking care of her family and being a grandmother. The joy she received from playing and spending time with her grandchildren was palpable - you could see her face light up. Jean had a vibrant and energetic spirit that touched the lives of many. Jean’s distinct personality and humor warmed the people around her and always kept them laughing. Her legacy will sure continue on in the people that she’s touched. She departed this world too soon and too suddenly. She will be missed greatly by her loved ones and many more. Relatives and friends invited to attend visiting hours at the Alfred D. Thomas Funeral Home 326 Granite Ave Milton Wednesday afternoon November 28th from 2-4 pm. A Reception will follow the visitation at the Alba Restaurant 1486 Hancock St. Quincy Wednesday at 4:30 pm.